to change a lightbulb (or a system)? 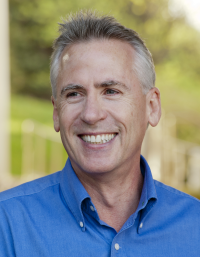 Ian Manion is a clinical psychologist and scientist-practitioner who has worked for over 30 years with children, youth and families presenting with a variety of social, emotional, and behavioural problems. He is a clinical professor in the School of Psychology at the University of Ottawa, and the Executive Director for the Ontario Centre of Excellence for Child and Youth Mental Health (the Centre). He is the Inaugural Chair of the National Infant, Child and Youth Mental Health Consortium and the Principal Lead for the National School-Based Mental Health and Substance Use Consortium. He is actively involved in research in the areas of parent/child interactions, community mental health promotion, youth depression and youth suicide. He is a committed advocate for child and youth mental health sitting on a number of local, provincial, national and international boards and committees. Dr. Manion is co-founder of Youth Net/ Réseau Ado, a bilingual community-based mental health promotion program with satellites across Canada and in Europe. This program strives to understand the mental health issues facing youth, and to better address these issues with sensitivity to gender, age, culture, and geography. Mark Greenberg holds the Edna Peterson Bennett Endowed Chair in Prevention Research in Penn State’s College of Health and Human Development. 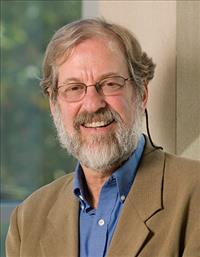 He is the Founding Director of the Prevention Research Center for the Promotion of Human Development, and served as its Director from 1998 until 2013. He is one of the authors of the PATHS Curriculum, which is used in thousands of schools in more than 20 countries. He is also a senior investigator on numerous national and international research projects including Fast Track, PROSPER, the Family Life Project, REDI, and PATHS to Success. He is the author of more than 200 journal articles and book chapters on developmental psychopathology, well-being, and the effects of prevention efforts on children and families. He received the Research Scientist Award from the Society for Prevention Research in 2002 and the Society for Research in Child Development Distinguished Contributions to Public Policy for Children Award in 2009. One of his current interests is how to help nurture awareness and compassion in our society. Mark also chairs CASEL’s Research Advisory Group.